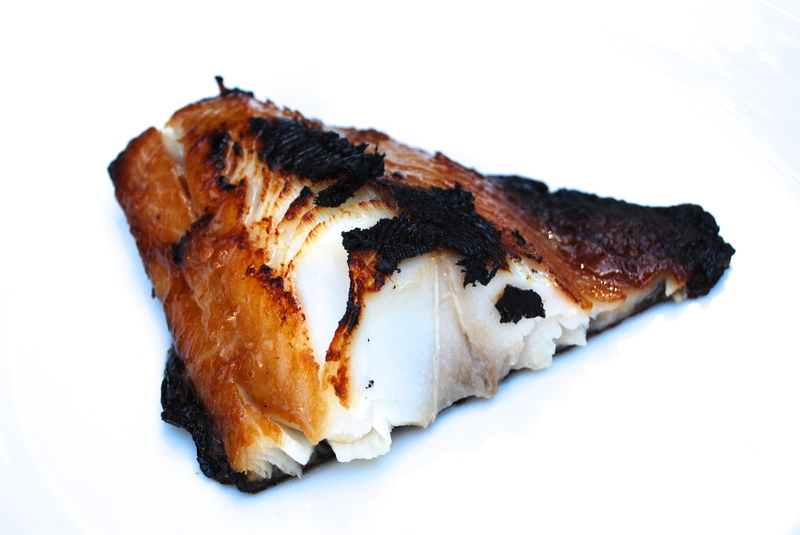 Black Cod with Miso | Time to Cook! There are a handful of dishes that I’ve ordered at restaurants that I will never forget. This was one of them. I was dining at Nobu while traveling on business for my job after college and the waiter talked me into ordering their Black Cod with Miso. It melted in my mouth and the flavors were delightful. This was not the fish I grew up having! When I came across this similar recipe on Goop, I had to give it a try. The hardest part is tracking down true black cod. Your best shot might be calling the seafood counter at Whole Foods a week ahead and asking if they can order it for you. (Remember that you want to pick it up the day before you serve it since it needs to marinate overnight.) Substitutes can be sablefish or butterfish, but they are not as thick. Note: I used Tamari (or you can use regular soy sauce) instead of nama shoyu (raw soy sauce). This is great served with Stir-Fried Brown Rice with Seaweed & Black Sesame. My New Year’s resolution is to make more fish for my family, so will definitely give this a try!